Marie Heffern was physically born in Quezon City, Philippines and grew up in Hawaii, California, and Nevada. Scientifically speaking, she was born in Inorganic Chemistry and has spent some time abroad in Chemical, Cancer, Neuro-, and Nutritional Biology. She earned her bachelor’s degree at the University of Southern California where she was a Women in Science and Engineering research fellow, designing synthetic routes for perovskite nanocrystals under the guidance of Professor Richard Brutchey. She earned her Ph.D. at Northwestern University. She worked with Professor Thomas J. Meade as a National Science Foundation Graduate Research Program Fellow to investigate metal complexes as inhibitors of proteins involved in disease progression. Following her graduate studies, she trained with Professor Christopher Chang at the University of California, Berkeley as a University of California President’s Postdoctoral Fellow, researching in vivo imaging probes for redox-active metals. Her general research interests lie in interdisciplinary approaches within the field of bioinorganic chemistry with a particular emphasis in metals in medicine. 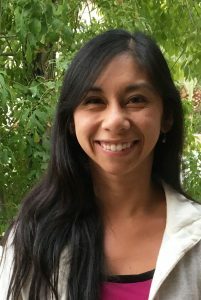 She began her independent career in the Department of Chemistry at UC Davis on July 31, 2017, where her team investigates the role and influence of metals within the endocrine system. She is an advocate of learning and taking risks both inside and outside the research arena. Her ongoing interests outside the lab include improvisational cooking, rock climbing, riding her motorcycle through beautiful Northern California, and sporadic running.